I have always been a reader and a writer. I remember the magic moment when the black squiggles on the page suddenly made sense, that moment when I began to read, and later understand. As a child I made my way through the entire children’s section (well, the interesting stuff. I had, and still have, no interest at all in factual books) of my little local library, and well remember the moment where I plucked up courage to walk, aged eleven, into the adult section and nobody sent me back. That’s when the whole world opened up. I read regency romance with Georgette Heyer, science fiction with John Wyndham, fantasy with Robert Heinlein. I read the classics at school, got lost in Wuthering Heights and delved into enormous Russian sagas I could hardly carry. Then I read Metamorphosis by Hermann Hesse, and the world opened up again. Aha. Fiction could be allegory, it could play with the rules, it could lie. Narrators could be unreliable, memories fallible. Characters evil but likeable. Reading began to open up a complex, difficult, exciting world to get lost in. Roll on to five years ago, when I took the opportunity to retire from a lifelong career teaching English. It was time to put all that reading, writing and teaching to good use. So I wrote short stories, took on-line courses, joined writers’ groups, and tried to immerse myself in the writing process. Because we only learn by doing, and then doing again, better. I managed seven drafts of Death and deception before I dared ask anyone to look at it! Death and the Good Son was much quicker and less agonising to produce. 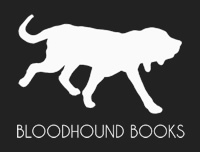 To date I have published two crime novels as B A Steadman, under the banner of independent press Bloodhound Books. It has been an exciting two years going from the dream of one day being published, to the reality of signings and blogs, and Amazon ratings (which sadly, do go down as well as up…) I have also written two stories for charity anthologies, one in Stories for Homes, produced in aid of Shelter, and one for the Dark Minds Anthology which is raising money for Hospice UK and Sophie’s Appeal. It was a privilege to be selected for both publications, and a great way to give something back. As well as chatting on my website, I’m a Goodreads author and really enjoy talking about writing and reading on there with readers from all over the world.